Silicon is used as a deoxidizer in the manufacture of steel. It slightly increases the strength of ferrite, and when used in conjunction with other alloys can help increase the toughness and hardness penetration of steel. We are one of the prominent processor of an array of Silicon Steel. 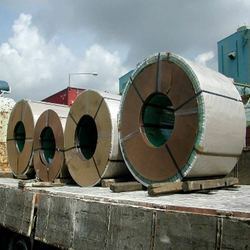 These are available in form of coils and also find application in various industries. Moreover, these can also be custom made as per the specifications provided by the clients. Our professionals make sure that the requirements of our clients are duly met and orders are delivered within the stipulated time frame. We supply good quality of Silicon steel. In the last few years the Silicon Steel market for both Grain Oriented (GO) and Non-Oriented (NGO) Silicon Steel products has grown significantly.